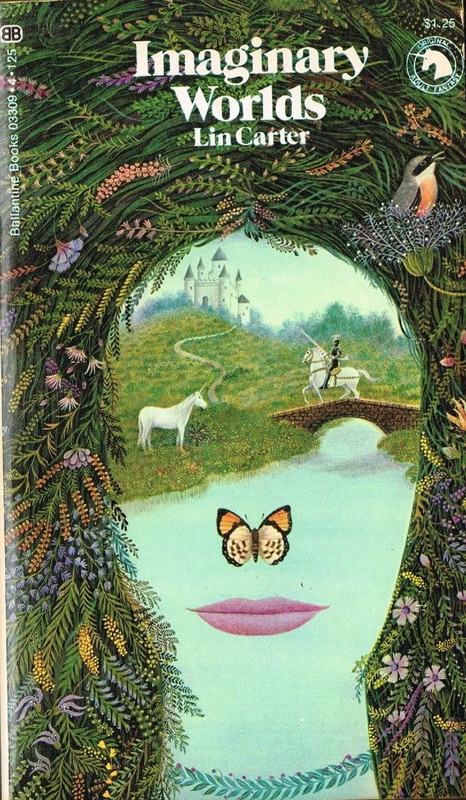 Spanish-born illustrator Gervasio Gallardo did a number of striking covers for the highly influential Ballantine Adult Fantasy series (1969 – 1974), edited by writer and fantasy literature historian Lin Carter. 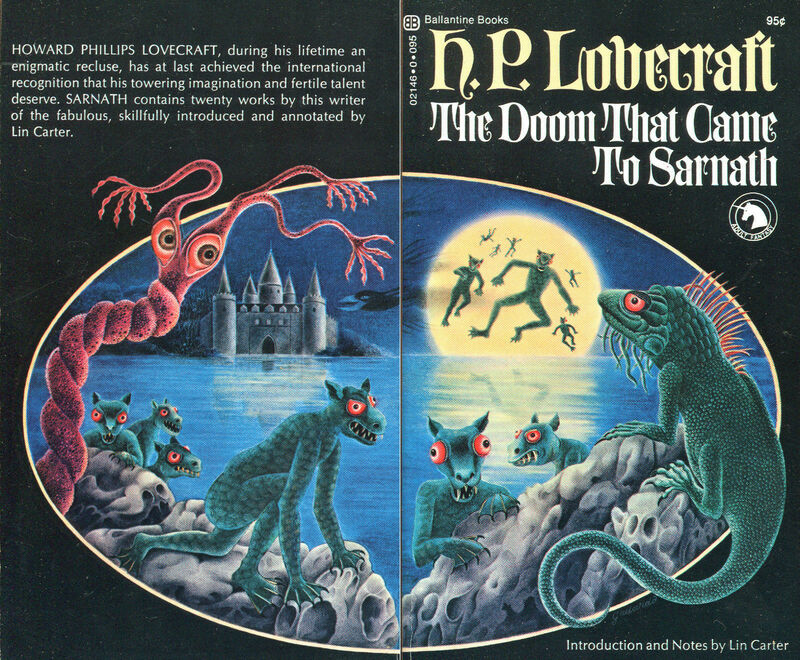 All of the Lovecraft volumes are featured above—I threw in Imaginary Worlds, the last volume of Carter’s non-fiction “look behind” trilogy exploring the origins of the fantasy genre. 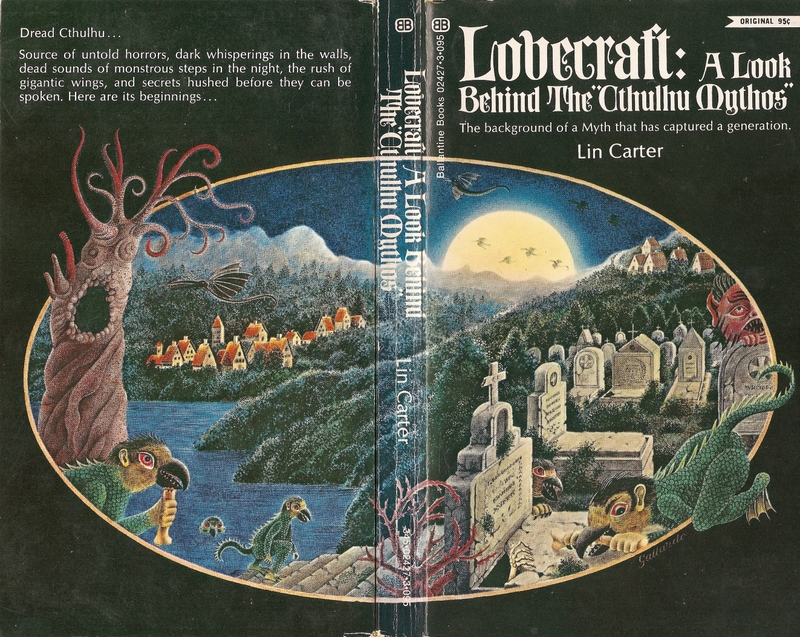 Lovecraft: A Look Behind the Cthulhu Mythos is the second volume, and Tolkien: A Look Behind ‘The Lord of the Rings’ is the first. 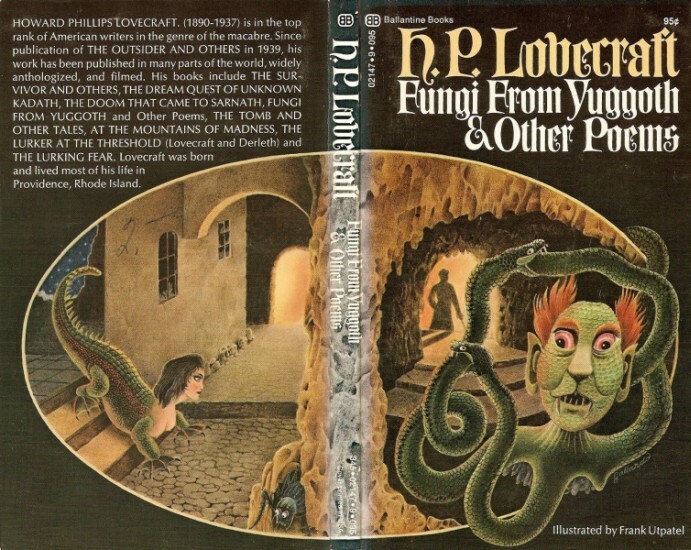 Bob Pepper was another notable illustrator for the same series. 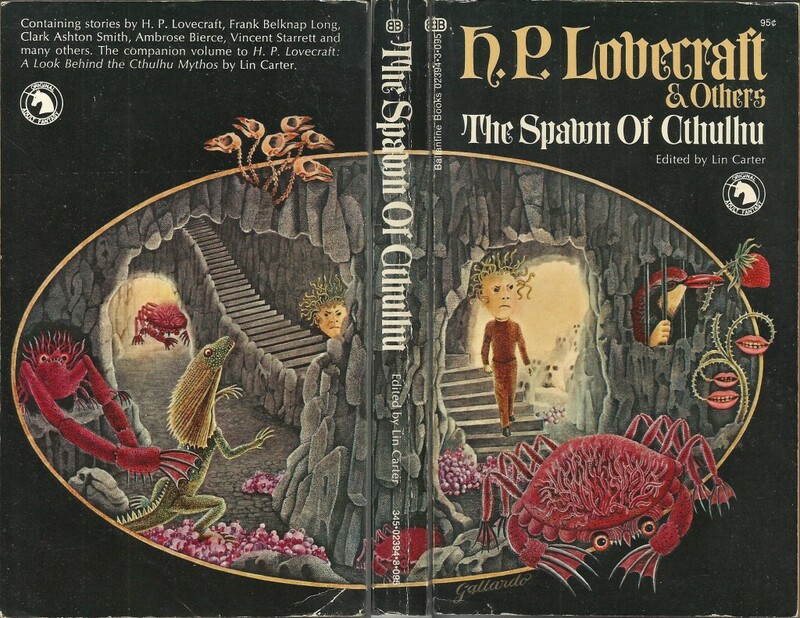 I just tweeted/Facebooked a post about Lovecraft, and here you are on an HPL kick. 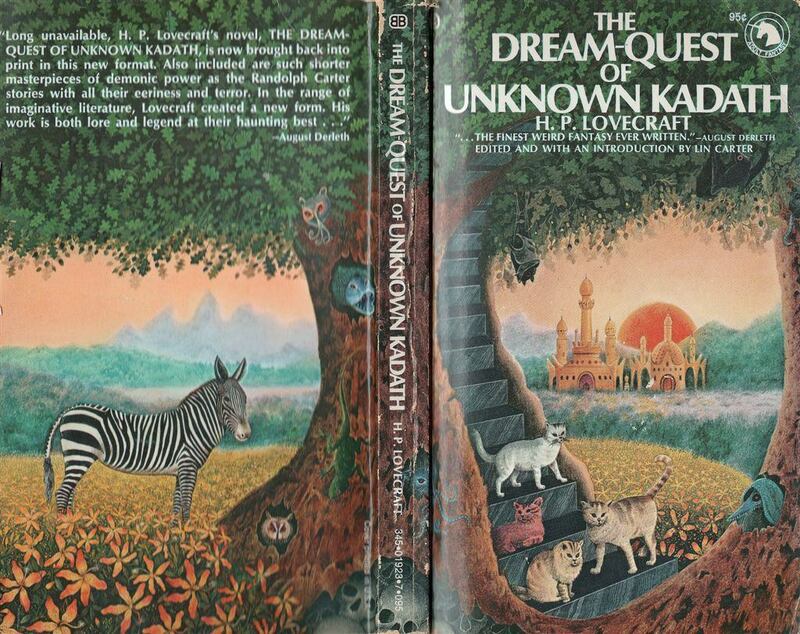 Coincidence, or the machinations of an eldritch abomination from beyond the veil of reality? 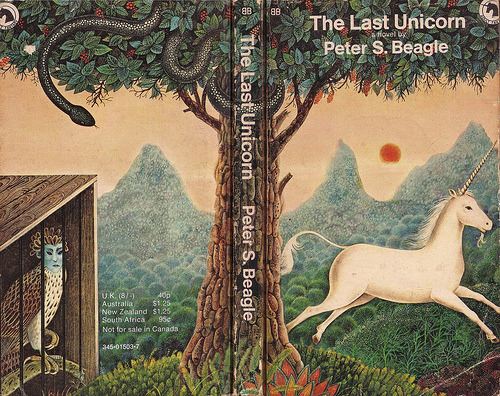 My money’s on coincidence. It shouldn’t surprise you anymore that we’re on the same wavelength! Bosch is a good comparison. 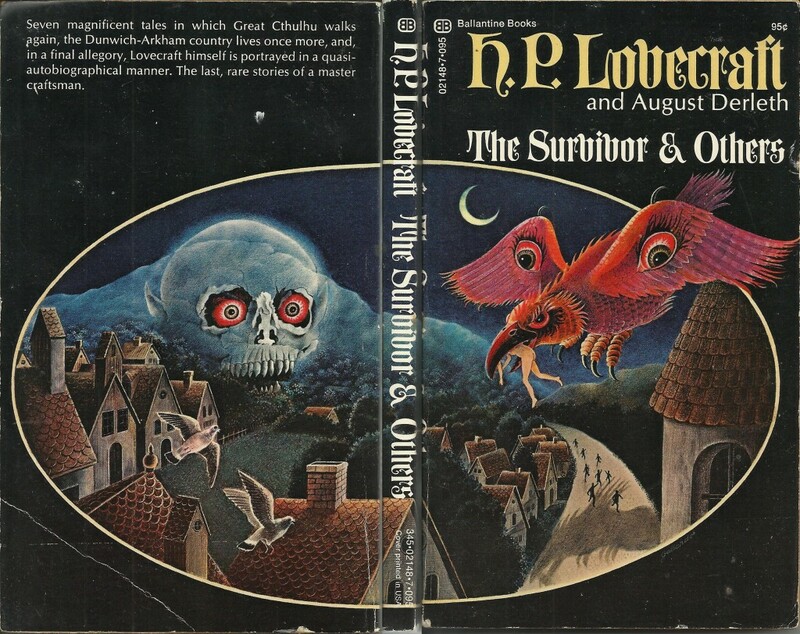 I do love Gallardo’s style: his other covers are a pretty evocative combo of surrealism and expressionism. Yes, this is Gallardo as well (http://www.isfdb.org/cgi-bin/pl.cgi?211589)! Thanks for posting! Hooray! That is very gratifying. If it wasn’t him, it was bound to be some chain of direct influence. Thank you very much. By the way, you have a new follower!